This past weekend saw the culmination of one of South Africa’s largest gaming leagues. The Telkom Digital Gaming League hosted a R1 million Masters tournament which invited eight of South Africa’s top multi-gaming organizations to compete in Counter-Strike: Global Offensive and Dota 2. ASUS Republic of Gamers is the proud sponsors of White Rabbit Gaming, an organisation who fielded teams in both competitions. The White Rabbit Gaming Counter-Strike: Global Offensive team managed to secure a 5th/6th place finish, while the Dota 2 team defied the odds to win the Grand Final and be crowned Champions of the Digital Gaming Masters. 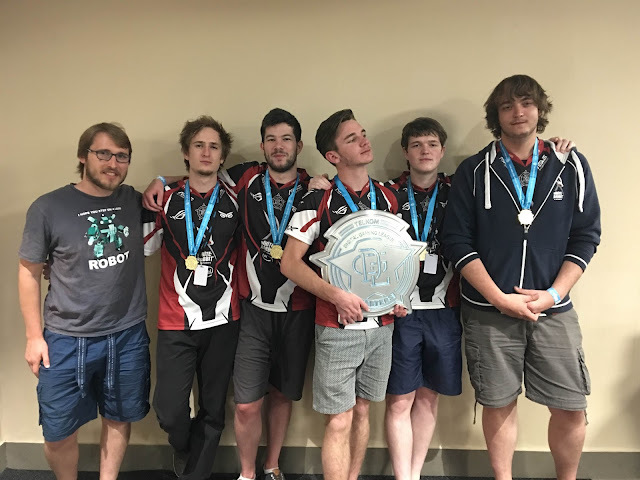 After a year of tireless practice and dedication the White Rabbit Gaming Dota 2 team managed to defeat their biggest rivals in a fantastic showcase of South African eSports. Bravado Gaming (who placed second) had been the reigning champions for the past two years, and dominant in every competition for the past four. For the entirety of 2016 the White Rabbit Gaming Dota 2 team trailed behind the Bravado Gaming squad, finishing second at numerous tournaments throughout the competitive year. After a recent team change, and a considerate amount of practice, they were able to defeat the reigning champions in front of a fully packed crowd backing their road to victory. The three matches were extremely close, and provided an insight into a new level of Dota 2 which is emerging in South Africa. The White Rabbit Gaming team defeated Bravado 2-1 in the Grand Finals. ASUS Republic of Gamers the Worldwide No.1 Gaming Brand, came onboard with White Rabbit Gaming during last year’s Digital Gaming Championships. The gaming mogul soon recognised the passion and dedication of the players and team manager, Alwyn Venter which resulted in a more formal sponsorship of funding and supplying the team with ROG products and gaming peripherals. Frances Lombard, ASUS Product Manager, followed the team closely throughout the weekend, sharing her sentiments after the big win. As the South African competitive year comes to an end, we can look back on an extremely successful year of eSports and of course look ahead as ASUS remains the choice of champions.